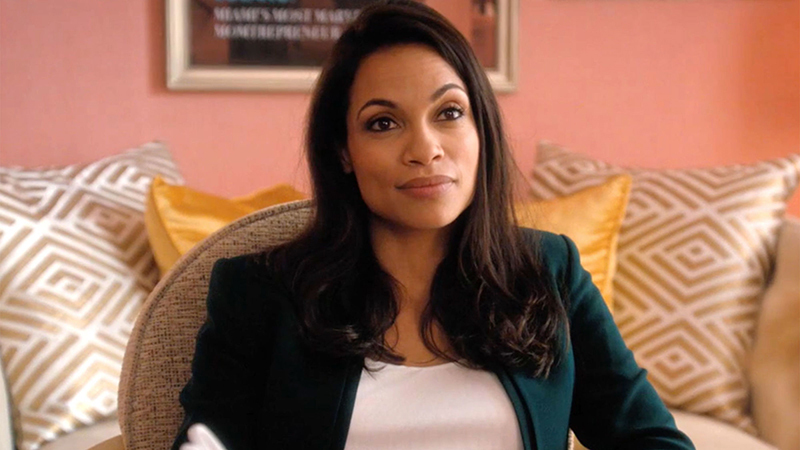 Rosario Dawson will be starring in a new drama series Briarpatch, which was given a series order by USA Network, Variety has confirmed. The series is based on the novel by Ross Thomas. Briarpatch follows Allegra Dill (Dawson), a dogged investigator returning to her border-town Texas home after her sister is murdered. What begins as a search for a killer turns into an all-consuming fight to bring her corrupt hometown to its knees. Dawson recently starred in The CW’s Jane the Virgin, and as Claire Temple in Netflix’s Marvel universe, appearing in Daredevil, Jessica Jones, Luke Cage, Iron Fist, and The Defenders. Her movie credits include The 25th Hour, Sin City, Rent, and Unstoppable. Upcoming, she will be appearing in Jordan Peele’s Weird City, as well as the comedy romance feature Someone Great. Jay R. Ferguson (The Conners), Brian Geraghty (The Alienist), and Edi Gathegi (StartUp) also star in the series. The adaptation was penned by Andy Greenwald, who will executive produce alongside Sam Esmail (Mr. Robot) via Esmail Corp. Ana Lily Amirpour directed the pilot and will also executive produce, along with Anonymous Content’s Chad Hamilton. Dawson serves as producer on the series, which was produced by Universal Cable Productions and Paramount Television. Production on Briarpatch Season 1 will take place in Albuquerque, New Mexico. The post Rosario Dawson’s Briarpatch Given Series Order by USA Network appeared first on ComingSoon.net.